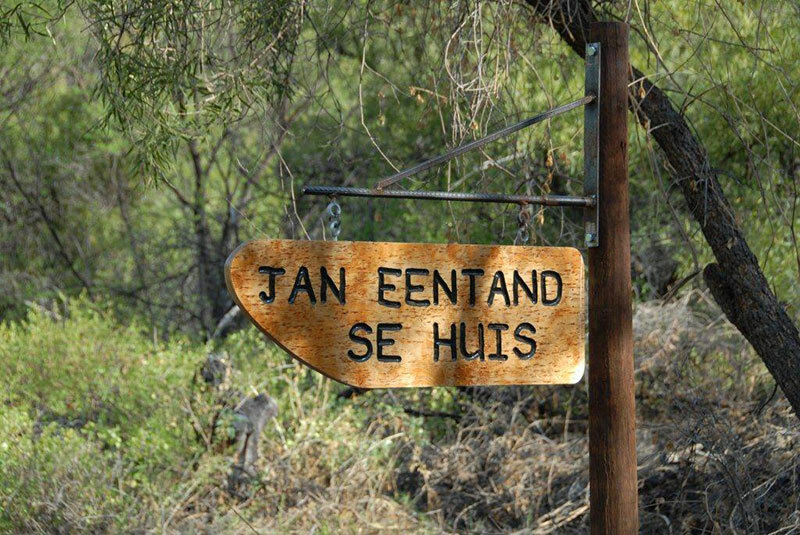 This is the first cottage that you will encounter as you enter our property. 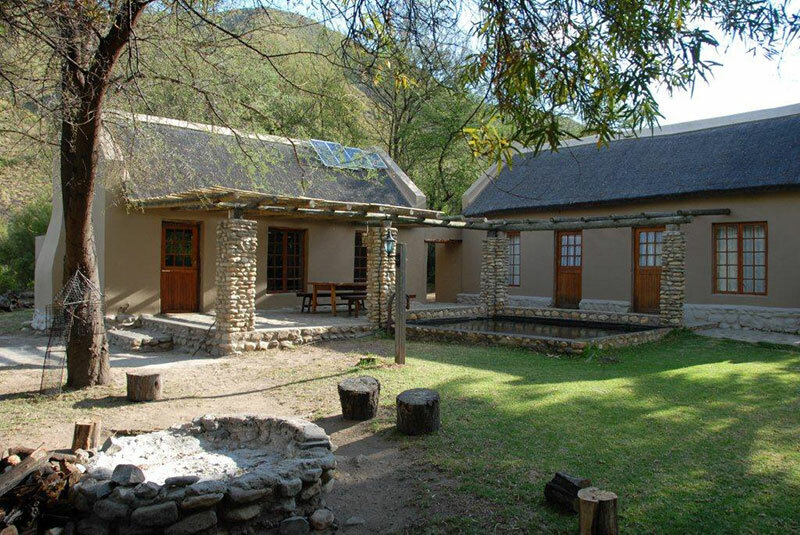 It is the furthest away from the Boplaas farm house and in a very secluded and unique setting. 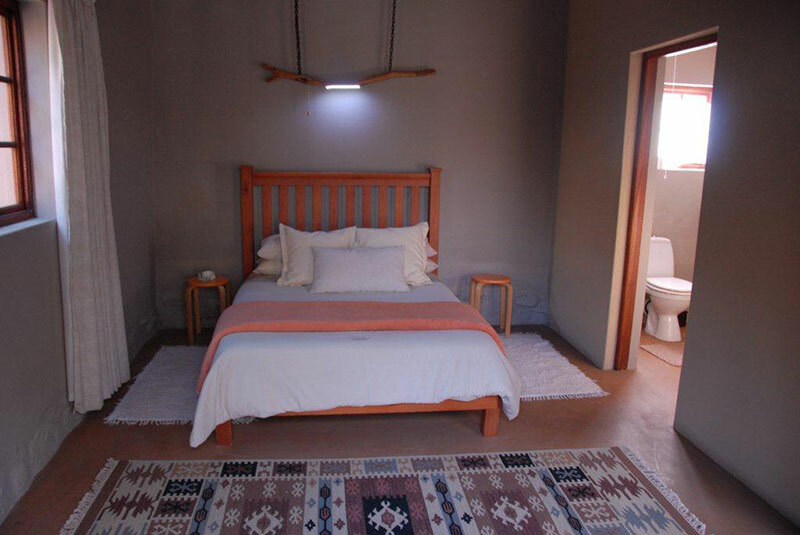 The original building was a small single bed roomed cottage with a small kitchen and equally small living room. When we started restoring the cottage lots of thought went in to how to change it but still retain most of its character. 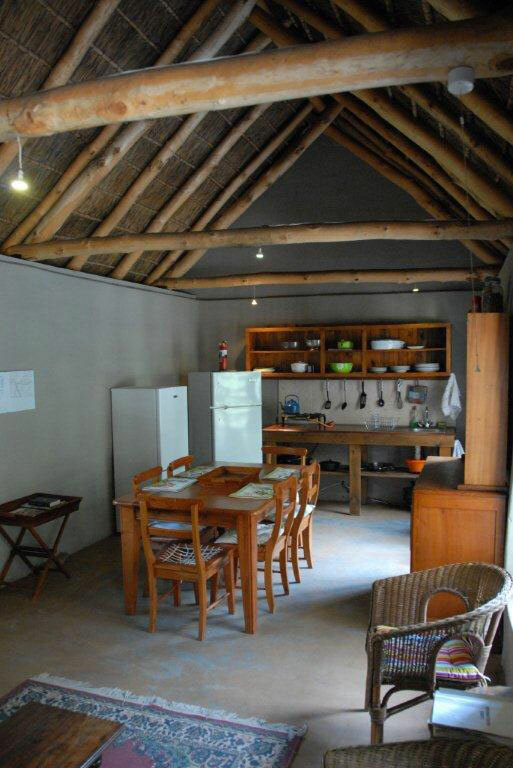 In the end we made the original building into a single spacious open-plan living room/dining room/kitchen. 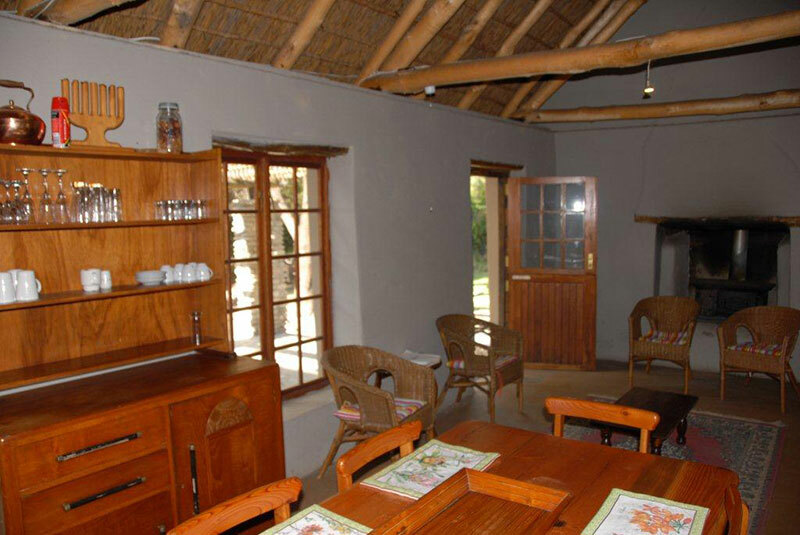 This shows up the beautiful thatched roof and beams the best and adds to the already grand character. A two-plate gas cooker and gas fridge is available in the kitchen area, but a big attraction to all guests is the wood burning Dover-stove in the sitting area. A gas geyser supplies hot water for the showers and sink in the kitchen. Cutlery, crockery and basic barbecue tools and grid are provided. 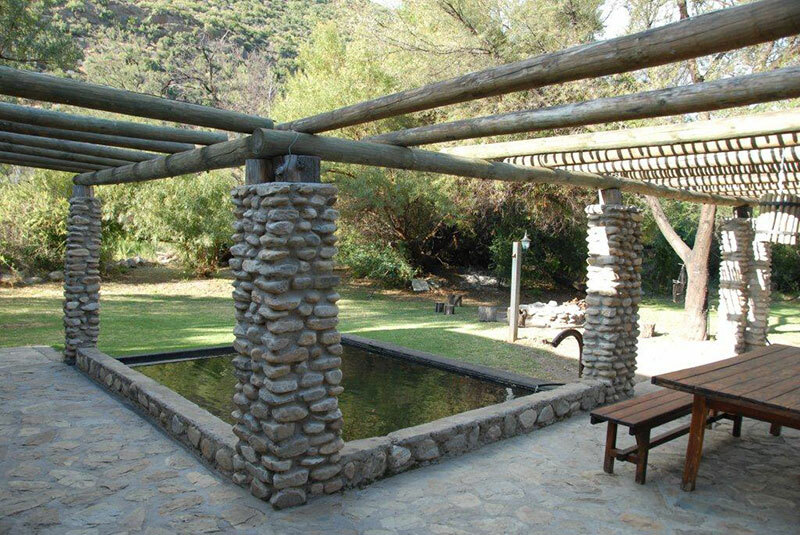 A veranda connects the two buildings and a splash-pool and outside braai area completes the whole setting. A grassy lawn surrounds the whole cottage. Braai wood is provided for the first night and more can be purchased from Donald, if needed. 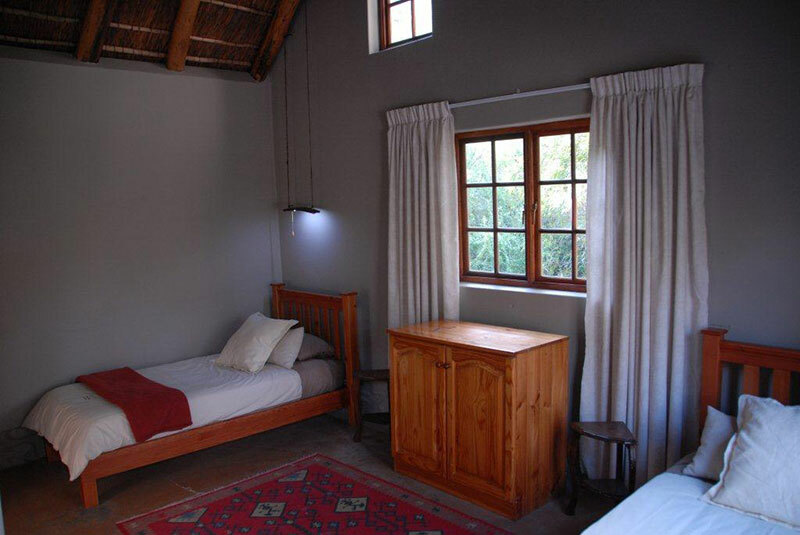 The Cottage is equipped with solar lighting and there are also candles and lanterns available for emergency use. For additional information what to bring on your visit, go to the Information page.